Today’s environment of rapidly accelerating change continuously gives birth to new markets, new solutions, and new opportunities. Consequently, business structures everywhere have become decentralized and more fluid as managers are discovering the critical importance of highly responsive and productive “teams.” Today, the work force at a large organization typically comprises teams that assemble and dissolve in response to specific needs. And when it comes to developing leaders for an organization, a business owner is less inclined to look for a lone superhero who will lead the way to profitability, and more inclined to find “team builders” who can achieve results within a changing business landscape. So, what’s the best way to build a highly productive team? Do you search for individuals with specific skills and a certain level of intelligence? Or should you look for people with complementary personalities and similar life experiences? According to a recent article in The Economist, “Teams work best if their members have a strong common culture.”1 Fair enough. But if that is all there is to assembling a productive team, then why do so many teams with a common culture fail to achieve desired results? Think about it – whether we’re talking about business, sports, or other activities, we’ve all known of (or even been part of) a cohesive group of skilled, intelligent individuals that still could not achieve anything close to the potential of the combined talents of its members. On the other hand, many teams function very well in spite of the fact that they do not include the most talented or even the most intelligent individuals available. Additionally, some highly successful teams (in sports and in business) have included individuals who do not even like each other. In truth, “common culture” has little to do with team building. Assembling people who like each other and who have similar personalities may be a good recipe for a social club – but it’s not the way to build a highly productive team. The most important factor in team building lies in how each member of the team will take action – in other words, their conative MOs, or natural way of problem solving. A team of highly skilled, highly intelligent, and friendly individuals will have a very low chance of success if it suffers from a lack of conative diversity (i.e., “cloning”). For example, a team of smart players all of whom are detailed, thorough and specific (initiating Fact Finders) may consider themselves to be very compatible with one another. However, in the absence of anyone who simplifies, finds shortcuts or creates a sense of urgency, the team will likely collect truckloads of data but never accomplish a darned thing. On the other hand, a team of change agents experimenting and improvising options (initiating Quick Starts) might create (and even execute) several innovative strategies within just a few days, but never achieve their objectives because no one has gathered sufficient background data to justify their solutions. Additionally, since the team includes no one who was designing systems and bringing closure to open initiatives and ensuring that proper procedures were followed, the team might produce more problems than solutions. To build a highly productive team, a manager (or a coach) should look for individuals with different conative strengths – people who will bring out the most in their teammates. That means finding people who “initiate” and people who “counteract” in each of the four Acion Modes® (Fact Finder, Follow Thru, Quick Start, and Implementor). And don’t forget the importance of finding individuals who will “ReAct” and pull the team together! During “March Madness,” the best college basketball teams from all over the country put their reputations on the line and compete in a single-elimination tournament. For a few teams, individual talents come together in beautiful harmony. These teams are often said to be “playing over their heads.” However, such descriptions don’t come close to capturing the poetry of five different players meshing on the court. When a coach knows the individual strengths of each player and then deftly mixes and matches these talents as the game progresses, and the players accept that their individual talents are magnified when they play in concert with one another, that’s when synergy is achieved, and usually a new national champion is born. What’s true for teams on the basketball court is also true for teams in the office: The talent, personality, and intelligence of the individual members are important factors; however, in the end, those teams with the right balance of conative strengths will stand the best chance of victory! Zero-hour contracts – a good thing for some. Zero-hours and short-hours contracts look set to become a permanent feature of the UK labour market. We estimate that the number of zero-hours contracts has increased from about 1 million in 2013 to about 1.3 million in 2015, and about 400,000 employees are on short-hours contracts that guarantee up to eight hours’ work a week. This report looks at how and why employers use zero-hours and short-hours contracts and considers the characteristics, attitudes and preferences of employees on these types of contract. It is based on an analysis of data from the CIPD’s Labour Market Outlook and Employee Outlook surveys. Our findings show that approximately 25% of employers use zero-hours contracts. While workers on these contracts may be less likely to feel involved at work and see fewer opportunities to develop and improve their skills than employees as a whole, they are also less likely to feel overloaded and under excessive pressure. The proportion of zero-hours contract and short-hours contract employees who say they are satisfied or very satisfied with their jobs – 65% and 67% respectively – is slightly higher than the proportion of employees as a whole (63%). In the CIPD’s view, the available evidence does not provide a strong case for further legislation to regulate the use of zero-hours contracts, and the best way to improve the working lives of the zero-hours contract workforce is to help more employers understand why they need to develop flexible and fair working practices and how to implement them. Zero-hours contracts: myth and reality. To download and read the full report take a look at their website here. Narcissistic leaders – who do you know who fits the bill? From “The Conversation.com” piece, “The appeal of narcissistic leaders is also their downfall“. It left me thinking about those I have trusted, why I have trusted them, which have disappointed me and how quickly. (why is that Tony Blair is the first person to come to mind I wonder?). “From the sports field to the battlefield, from business to politics, ineffective leaders often shoulder the blame when things go wrong. Perhaps we should be more careful about who we put in charge. Our research has found that your personality – and how narcissistic you are – is linked to how effective you are as a leader. We found that narcissists may appear to be good leaders early on, but they soon fall out of favour. 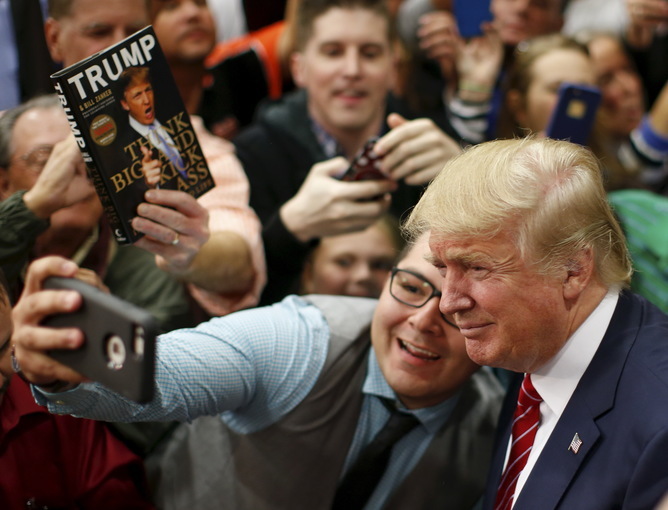 Republican presidential hopeful Donald Trump has been called a ‘textbook narcissist’. As we choose the leaders around us, we often think we are making informed choices about who is most effective. But our research suggests that this is not always the case. In fact, we are more likely to select as leaders those people who display narcissistic traits. Those who score highly in narcissism tests believe they are special people who are superior. They also report high levels of confidence, are focused on themselves at the expense of others, and are vain. These overly positive views of themselves help narcissists to perform very well in situations that offer them an opportunity for personal glory, such as performing under pressure, performing tasks that are difficult, and doing things in the presence of others. But when they perceive that there is no such opportunity, narcissists withdraw their effort and perform poorly. Because narcissists are so focused on personal glory they can be difficult team members; yet they might make good leaders. Positions of leadership provide an opportunity to gain glory from others and so are likely to be attractive to the narcissist. Others have researched and written about the idea of narcissists as leaders, but until now there has been no evidence of whether or not narcissists actually do make effective leaders in the long term. In two studies, we assessed people’s narcissism using the Narcissistic Personality Inventory – a standard narcissism questionnaire used in psychology research. Example items include: “If I ruled the world it would be a much better place” and “I am an extraordinary person”. People were asked to score themselves against these items on a scale of 0 to 40, with higher scores indicating higher levels of narcissism. Our mean scores were just under 14 for both the studies which is consistent with most research using similar participants. We then asked people to work in small groups, completing weekly tasks for 12 weeks. Examples of tasks included naming all the Team GB medallists at the 2012 London Olympics and identifying the states of the USA on a blank map. In the first study (using 112 first-year students, 71 men and 41 women, working in 24 groups in their first semester at university) we deliberately allocated people to groups so that they would be unlikely to know each other. In the second study, we used individuals who knew each other reasonably well (152 final year students, 96 men and 56 women, working as part of 29 groups) and let them choose their own groups. Both during and at the end of the 12 weeks, the participants rated each other on their leadership effectiveness. The results were striking. Initially, the people who had scored highest on the narcissism test were rated as highly effective, but as time went on these positive perceptions waned until eventually narcissists were seen as very ineffective leaders. Although we expected narcissists not to last long as leaders, we were amazed by how rapidly they lost favour with their group, and how negatively they were viewed by the end. Over time, the narcissistic leaders’ ships sank. Are narcissistic leaders doomed to fail? Our results showed that the group was initially attracted to the narcissist’s charisma and vision, which allowed the narcissists to rise as the “natural” leaders. But over a very short time, narcissistic leaders failed to provide their followers with appropriate levels of challenge or support. This ultimately led to their downfall. Although our data painted a rather negative picture for narcissists in the long run, it is not all doom and gloom for the narcissistic leader. The challenge for them is to be able to harness their charisma and combine it with other factors such as humility or empathy, which should enable them to be seen as effective leaders over time. An extreme narcissist may not care what others think of them and may be doomed to fail in leadership roles. But there are other narcissism traits that may be more effective and even necessary, in some forms of diplomacy for example – such as narcissistic charm. Being able to choose between leaders who we “like” in the short term and those who we believe will get the job done and be effective over time is not necessarily an easy task. Dealing with this paradox is vital to be able to ensure effective leadership in the long term. 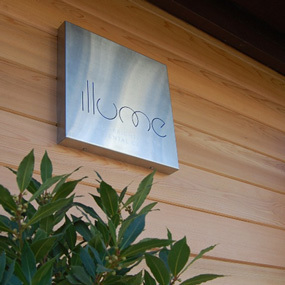 ILLUME is looking for a special dentist to join a long established private practice for three days a week in a sought after location on the edge of the Cotswolds.